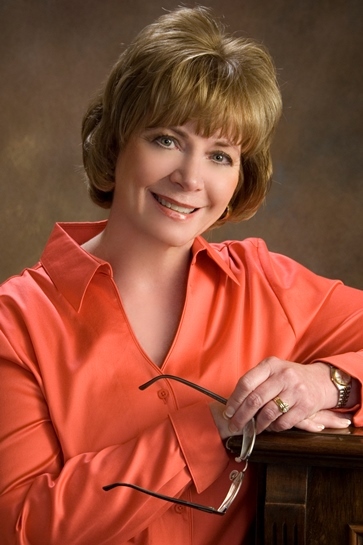 Writing from the Peak: Can Meditation Help My Writing? 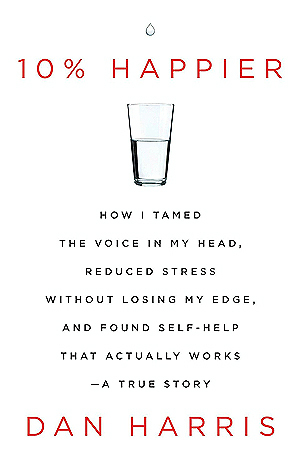 Editor's Note: I often read self-help books. If it pertains to writing, and I get something out of it, I'll post a review. Hello, my name is Donnell, and I’m an information junkie. Doesn’t matter, newspapers, televisions, Yahoo, Google, if a headline captures my attention, I read it. Originally, I told myself that this was good for me, because as a writer I want to be well-informed. But what happens when all this information overloads the senses and kidnaps your muse? That’s basically what has happened to me during this crazy political cycle and okay, long before. I told myself I could quit at any time. Didn’t happen. I’ve always been a daydreamer, but recently I just stopped. 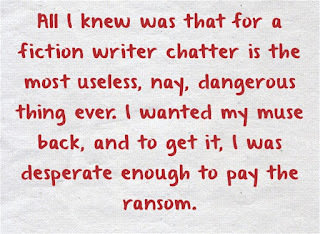 Suddenly I realized that all I had was an abundance of chatter filling my head. All I knew was that for a fiction writer chatter is the most useless, nay, dangerous thing ever, and I no longer wanted all this sometimes valid, oftentimes insipid information coming at me at the speed of sound. 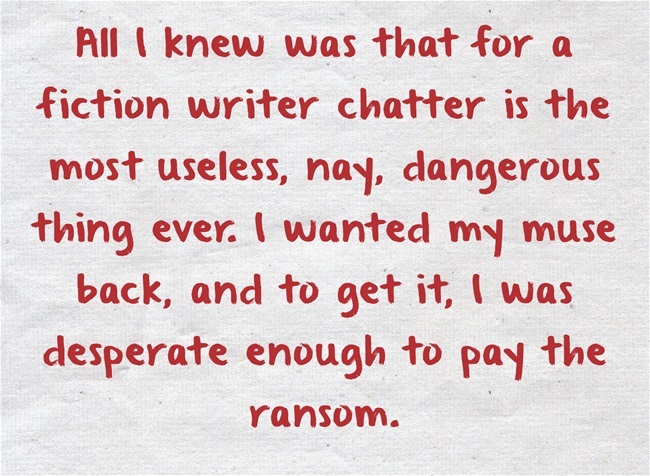 I wanted my muse back, and to get it, I was desperate enough to pay the ransom. One evening while I was reading my Kindle, Amazon popped up with an ad. It was a headline (or title), and my ADHD-deficit addled brain latched onto it like a man-eating tree before I could save myself and step away. But this time… this time… before I filed it in the mindless chatter part of my brain, I was fully engaged. Want to know why? How’s this for a title? 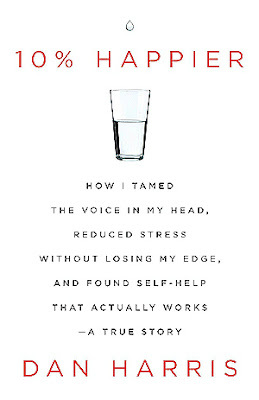 10% Happier How I tamed the Voice in My Head, Reduced Stress Without Losing My Edge and Found Self-Help That Actually Works. That was me to a tee and I had to know more. So I bit back and clicked on. And there was the bio of the author. Dan Harris of ABC News. I figured that if Harris, who by far had to surpass me as an information junkie in ways I could never comprehend, found a way to tame the voices, this was a book I should read. I often wondered where he was going with this thoughts. In truth it reads like a memoir. But it’s a darned good memoir, and one of those books that keep you turning pages. (Also, I felt I had a good vocabulary. Harris has an amazing vocabulary — so if you read it for any other reason, read it for that.) But back to his book: Given that Harris is a public figure/celebrity, I learned fame can be an addiction in itself. Add drugs to it, can you imagine what a mess this guy was? His journey of transformation is epic, and as a romantic suspense writer, I crave a happily ever after. The long title wasn’t the only thing that whetted my appetite. He talks about the value of meditation to silence not only the chatter, but the negative, often paranoid thinking, that enters our brains. And while I read this part skeptically, he seems to have succeeded. Harris suggests that readers start meditating five minutes a day, and provides some interesting tools to do it. That’s why I’m going to give it a shot. But sorry Mr. Harris, while I’ve become a fan, I have to turn off the TV—that news junkie thing again. Am I alone? In this day of 24/7 news and the barrage of social media popping up to swallow us whole, do you need to tame the voices in your head? I recommend this book as a tool if you do. Short and simple. Yes. I find that meditation helps soothe me. Ideally it's part of my everyday life. Like brushing my teeth or writing time. When I miss it I feel things aren't quite right in my world and I've been missing it a lot lately. Thanks for the reminder of how powerful meditation is and that I need to fit it into my day. Thank you for commenting, and to let me know you get something out of meditation. When we're in our dreamlike states aren't we, in essence, meditating. I'm finding unplugging and giving into alone-time is really helping. Great article, sound advice, and clever delivery. Thanks, Donnell! Thank you, Ann! Glad you enjoyed it.